Nearly 50 years after the first negotiations took place, the United States purchased the Danish West Indies from Denmark, later renaming them the U.S. Virgin Islands. 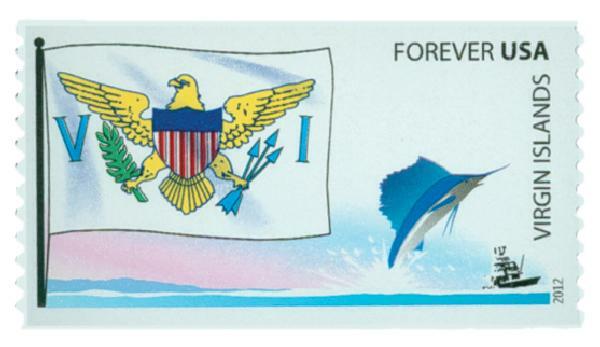 The first attempt by the U.S. to purchase the islands came in 1867. Secretary of State William Seward successfully negotiated the treaty with the Danish parliament. But the Senate rejected the treaty because Seward had previously supported President Andrew Johnson during his impeachment trial. A second attempt came in 1900, spearheaded by John Jay. This treaty was rejected by the Danish because it didn’t grant residents U.S. citizenship. Fifteen years later, as a neutral America watched the First World War unfold, concerns grew that Germany might annex Denmark and use the Danish West Indies to launch attacks on the Caribbean. The U.S. again entered into talks with the Danish and the treaty was signed on August 4, 1916. The islands were officially turned over to the U.S. on March 31, 1917, at a cost of $25 million. 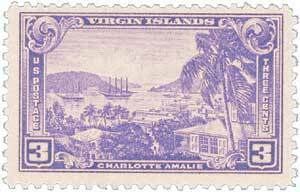 Danish West Indies postage stamps were then removed from sale and replaced with stamps of the United States. 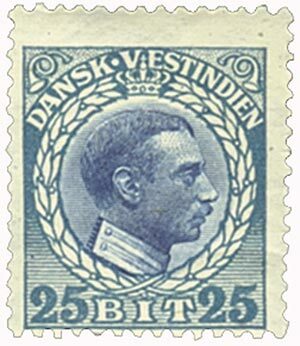 You can own an authentic Danish West Indies stamp as well as U.S. stamps honoring this U.S. territory – click on any of the images above. 11 Responses to "This Day in History… August 4, 1916"
Very interesting. I had no idea this is how the US Virgin Islands came into being. Thank you. Since I have two highly advanced US stamp collections, I also have a highly advanced large Foreign stamp collection with many authentic Danish West Indies stamps. $ 25 M in 1917 may equal to 1000 times more, not a bad bargain. Fascinating lesson in history. I think that type of politics punishing Seward for supporting Johnson is similar to why legislation doesn’t get passed today. Love your history as I’ll keep on learning and appreciate my stamps more. I’m grateful for what Mystic does for the hobby that will hopefully be revitalized someday. This day in history has added to my enjoyment of stamp collecting. Many Thanks! Wonderful idea. My grandchildren are still young but I hope they’ll get interested in stamp collecting and learn history and geography through stamps. Please keep sending me this series of Day in History and stamps relating to the event. I spent many years in St Thomas, V.I. as an instructor in advanced training of the “Frogman” in the underwater training. It was the best duty to have. So, with your this day in history, I learned a bit of history that I didn’t know. This was, the basic training, of what was to become the U.S. Navy Seals. witch was much harder and longer training. I made my first remarks before I read the rest of this article so I would like to add to them by saying there is not enough history mentioned here because they was no mention of St. Johns, which is the most beautiful place to spend your honeymoon. There is a beautiful honeymoon cottage sitting on a bluff over looking the the Bay of St. Johns. While in training at St.Thomas, UDT2 (,Underwater Demolition Team 2) was the first group to swim across the channel, which had several cross currents, making it a very hard swim, to complete. It was vary exhausting swim, but we all made it.